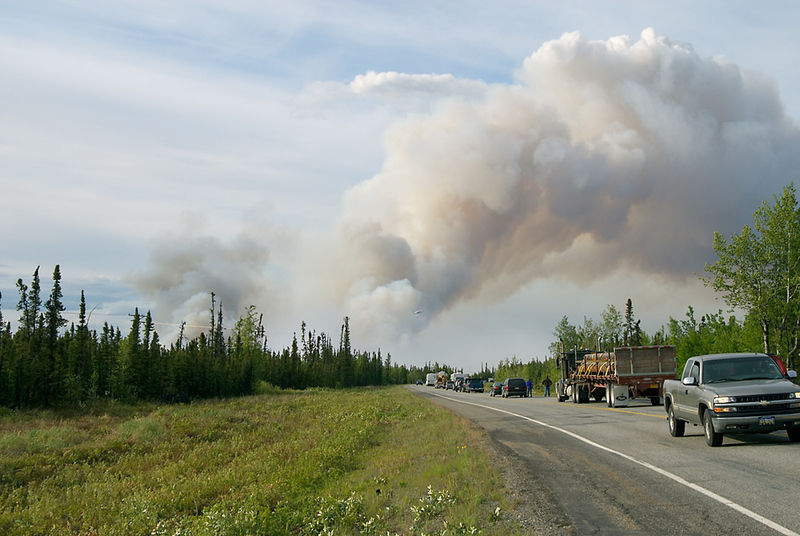 Alaska's George Parks Highway, 12 miles south of Nenana, closed because of a forest fire. Yes, this is what highways look like in Alaska, isn't it great?! When this photo was taken, the fire had already crossed the road. It had started a few hours earlier on the right (east) side of the highway, but the photo shows it burning on the left side. Bell 212 N16973 of Evergreen Helicopters can be seen in the distance, silhouetted against a big cloud of smoke billowing skywards.